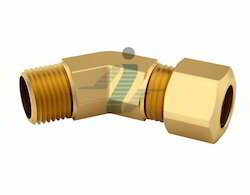 We are engaged in the production of superior quality Compression 90 Degree Male Elbow Connector, which finds applications in various industries. The raw materials used for the fabrication is sourced from the reliable vendors who are known for sourcing quality materials. These are tested to ensure fine finishing, rigid construction and longer service life. Sizes: 1/8” x 1/8” to 3/8” x 1/2” (Tube O.D. x Pipe Threads). 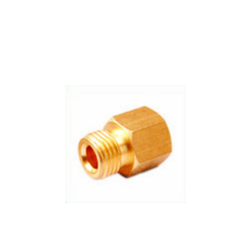 Imperial Brass component supplies a wide range of Brass Female Elbow Connector, Unions,Compression Elbows,Compression Connectors,Compression Caps,Compression Nuts,Compression Tees,Compression Adaptors And Compression Olives Etc. 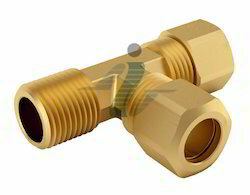 Our brass compression fittings are available in different sizes and specifications and largely used for many applications. 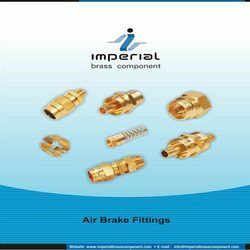 Imperial Brass component supplies a wide range of Brass Compression Fittings Like Compression Unions,Compression Elbows,Compression Connectors,Compression Caps,Compression Nuts,Compression Tees,Compression Adaptors And Compression Olives Etc. 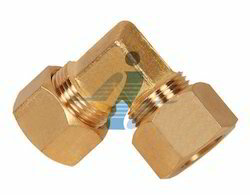 Our brass compression fittings are available in different sizes and specifications and largely used for many applications. 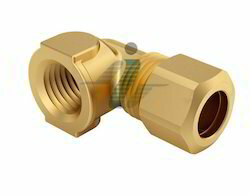 We have established ourselves as one of the foremost manufacturers of Brass Compression Union Elbow. Our team of quality controller uses advanced technology and optimum quality graded raw materials. These are designed accurately to fulfill the changing needs of various industries. Our quality range is accessible at the affordable prices from the markets. 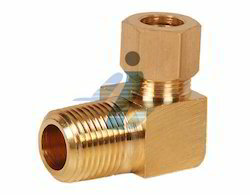 Available Sizes: 1/8” to 3/4” (Tube O.D.). 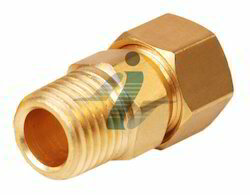 With the help of our team of professionals, we develop a superior quality collection of Brass Compression Male Connector. These are fabricated using latest technology and high quality raw materials to ensure fine finishing and accurate dimensions. These are great in demands by our esteemed clients for its easy installation and longer service life. 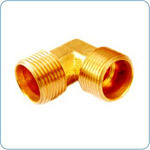 Our valued clients are availed by us a superior quality collection of Brass Male Elbow Connector as per their exact specifications. These are engineered using optimum quality materials that are thoroughly inspected for its quality. These are available in various sizes and shapes. These are also customized successfully to cater the diversified needs of our clients. Available Size (Tube O.D. 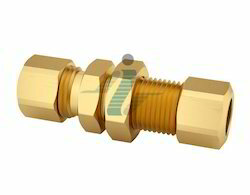 X Pipe Thread) : 1/8” X 1/8” NPT to 3/4” X 3/4” NPT 1/8” X 1/4” BSPT to 1” X 1” BSPT. 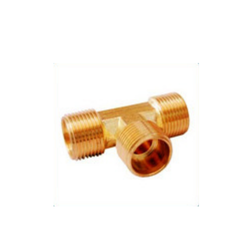 With the help of our advanced infrastructure, we manufacture a premium quality collection of Brass Tee Union. These are strictly designed using quality raw materials and modern technology to ensure optimum quality. Our range has gained much acclamation from our clients for its smooth surface, durability and dimensional accuracy. 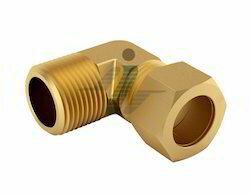 We are engaged in the fabrication of high-end compression fittings for the industry. Our fittings come known for their accuracy and finesse on the groove. Our components are available in great variety of sizes and options for systematic multi-step reductions. 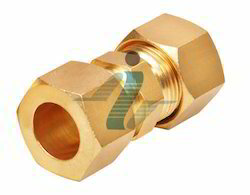 These features have made us a leading supplier of compression fittings for the whole market. 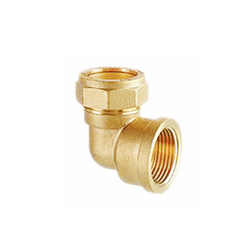 We have with us a premium quality range of Brass Compression Union which is available in various sizes and types as per the requirements of our clients. These are designed using high graded raw materials and are ideal for various industrial applications. Our range comply various national and international quality standards. These are available in the markets at the competitive prices to suit the pocket of our clients. 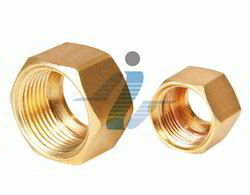 Our creative team of experts is able to fabricate the superior quality collection of Brass Compression Union Tee. We source our raw materials from the reliable vendors who are popular for offering quality collections. Our entire collection of products has received a lot of appreciation in the markets for its excellent features. 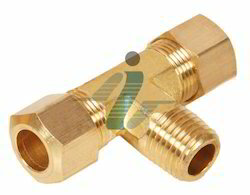 Imperial Brass component supplies a wide range of, Brass Elbow Union, Brass Compression Fittings Like Compression Unions,Compression Elbows,Compression Connectors,Compression Caps,Compression Nuts,Compression Tees,Compression Adaptors And Compression Olives Etc. 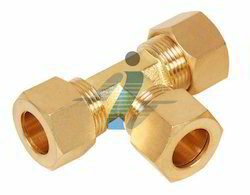 Our brass compression fittings are available in different sizes and specifications and largely used for many applications. 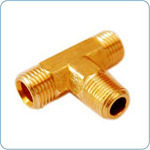 Our exclusive assortment of Brass Branch Tee-NPT is has gained tremendous accreditation in the markets for its exclusive features like sturdy construction, longer service life and high tensile strength. These are presented in the markets at the industry leading prices as per the industrial quality standards. 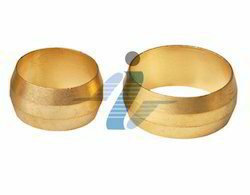 A unique combination of Brass Sleeve is offered by us to meet the demands of various clients. These are developed using quality approved raw materials and latest technology to ensure optimum quality. To ensure varied quality standards, our range is checked by our quality controller team. These are known for its rust resistance, longer working life and sturdy construction. Available Size (Tube O.D.) : 1/8” to 1” 4 MM x 16 MM.